Well, somehow I feel I’ve been here before. Of course, it’s not only the start of another great year for us in Louisville, but after a long break, it’s the second time I’ve had the honor to serve as Chamber President. That may be a good opportunity for jokes about my age. It’s also made me think about the way the Chamber has grown and changed, and what seems to be important to our success. Spreading the work around the active memberships seem to me to be one of the ways we’ve kept going strong. So, this year I hope we can make this happen by first, bringing in more members and second, by encouraging more participation by all members, to the extent it’s feasible for each of us, of course. 2014 was another good year for our activities. 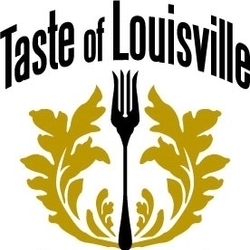 The Taste of Louisville, the Half-Marathon, and our Spaghetti Open Golf Tournament all continue to draw good crowds. With better weather the Parade of Lights was especially well attended this year. 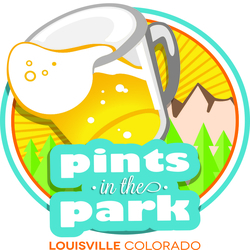 Our new event Pints in the Park was very successful and you all know we will hold an expanded event this summer. The Chamber has seen good growth the last couple of years, but I want to emphasize my belief that we can’t maintain momentum in our programs without continuing to increase membership. That’s why I ask “Each One” of you to “Reach One” person and bring them to the Chamber as a visitor and then, we hope, a member. I suggest offering invitations to our After Hours and other activities to allow your visitor to network and meet with other Chamber members. This will also encourage participation from our current members, the second step in growing and keeping membership. I ask each member not only to attend our activities as often as you can, but also commit to assisting at a minimum of one of our major events in the coming year. In any organization there are always some core activists, but no organization moves beyond competence to excellence without the broad engagement and support of the entire group. Thanks again for allowing me the honor of serving as President. If you think I have done a good job for you at the end of the year, perhaps you will consider having me back in office in another 20 years or so.